Sale 206 SqFt. With a 2 mm underlayment already attached and laden with an innovative PermaMax surface protector, XP Coffee Handscraped Hickory laminate flooring from Pergo offers utmost installation convenience and wear resistance. 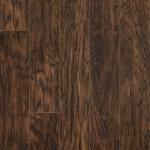 These durable, beveled-edge planks are 5-1/4 in. wide and have Uniclic joints for easy snap-fit assembly in commercial or residential settings. 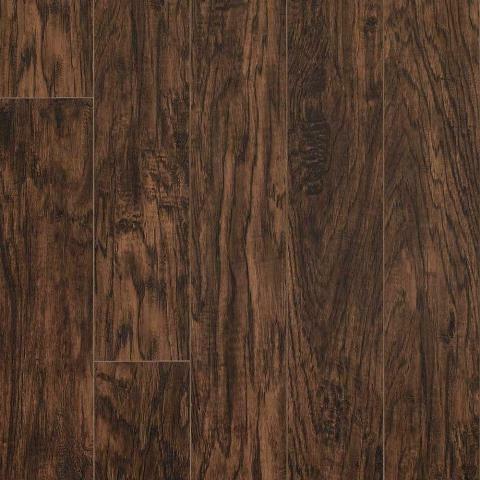 The lifelike hickory wood patterns and all-over texture give this dark laminate the look and feel of real hardwood, but with less expense and easier upkeep. Engineered for use with separately sold radiant heating systems and utilizing ScratchGuard Advanced technology to inhibit scuffing, fading and staining, Pergo's Extreme Performance planks have an AC4 rating worthy of heavy residential use and light commercial traffic. California 93120 Phase 2 Compliant for Formaldehyde.